Found 5 file extension associations related to Apple MainStage and 1 file format developed specifically for use with Apple MainStage. Love the sound you got on your recording? MainStage makes it easy to bring all the same instruments and effects to the stage. You can even expand your show with live loops or prerecorded backing tracks. With the Mac as the core of your live rig, setup is faster, teardown is faster, and everything in between is more reliable. You can completely customize your layout, from the number, type, size, and color of the controls to the parameters they manipulate. 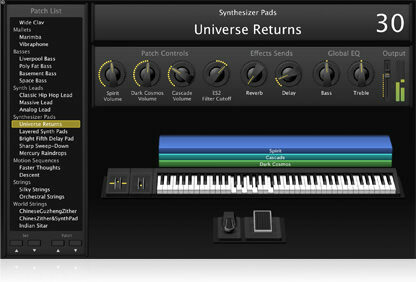 And you can instantly assign onscreen controls to the faders, knobs, and switches on your hardware for hands-on control. If you need more information please contact the developers of Apple MainStage (Apple, Inc.), or check out their product website.